Sons Of Anarchy Oversized Bullet Shot Glass | BUDK.com - Knives & Swords At The Lowest Prices! “Sons of Anarchy” may have ended but the show will live on through memorabilia like this Sons of Anarchy Oversized Bullet Shot Glass. Get one of these officially licensed collectible shot glasses before it’s too late! 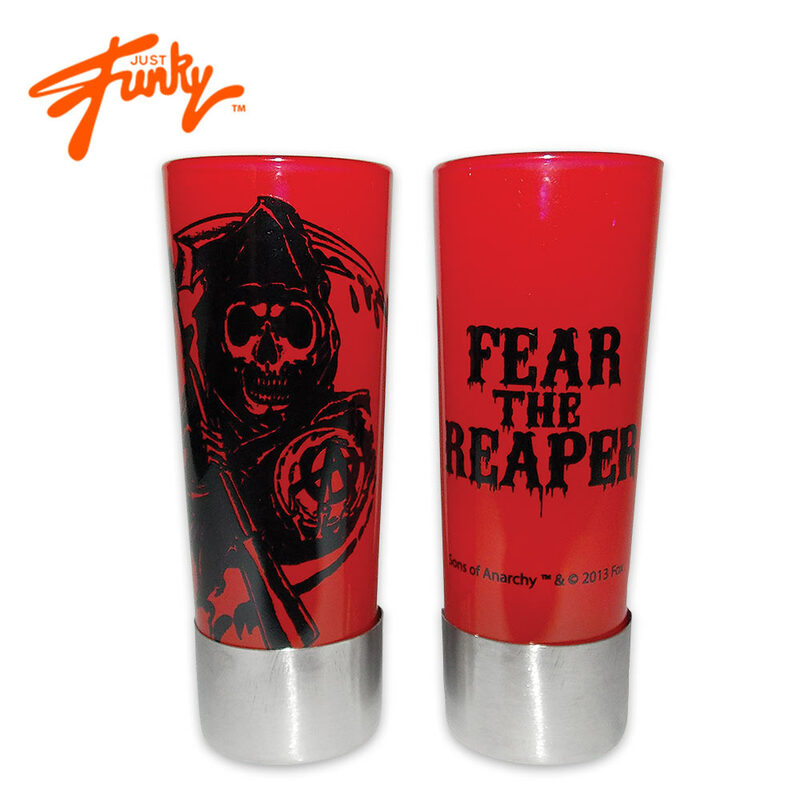 The 2 1/2 ounce glass features the Reaper logo of SAMCRO on a shot glass in the shape of a shotgun shell.